The Commission on Chicago Landmarks decided Thursday to not recommend landmark status for the former site of Prentice Women's Hospital. The panel's vote clears the way for Northwestern's plan to build a new research facility at the same location. CHICAGO — The Commission on Chicago Landmarks voted 8-1 this evening to reject landmark status for the old Prentice Women’s Hospital, paving the way for Northwestern’s plan to build a new research facility in the same location. Staff recommended landmarking the structure based on a set of specific architectural criteria. However, a report from the Department of Housing and Economic Development recommended against granting landmark status based on economic and humanitarian factors. 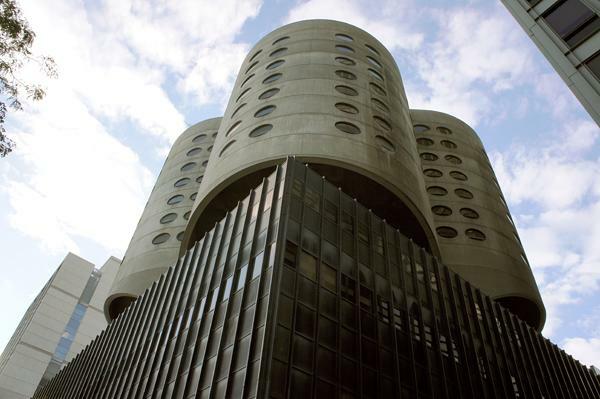 The ruling in favor of Northwestern deals a debilitating blow to preservationists who had hoped to protect the Bertrand Goldberg-designed building. The decision clears the way for NU to demolish the hospital and proceed with its multi-million dollar plans to build a biomedical research facility. Preservationists filled the room at this evening’s meeting and argued that Prentice meets four of the seven architectural criteria for landmarking. They also emphasized NU’s unwillingness to seriously entertain the possibility of re-appropriating the building for other uses. Eugene Sunshine and Ron Nayler, both NU vice presidents, said in their presentations to the commission that Prentice stands in the way of the University’s vision to connect its campus buildings on a floor-by-floor basis and encourage interdisciplinary collaboration. Sunshine said the University only wants a biomedical research center, and one that meets the NU’s exact specifications, which cannot be recreated on any other site. After the decision, Sunshine expressed the University’s thanks. “We appreciate very much the thoughtful consideration that the commissioners and staff of the Chicago Commission on Landmarks, Mayor Rahm Emanuel and Alderman Brendan Reilly have given to this issue,” he said.